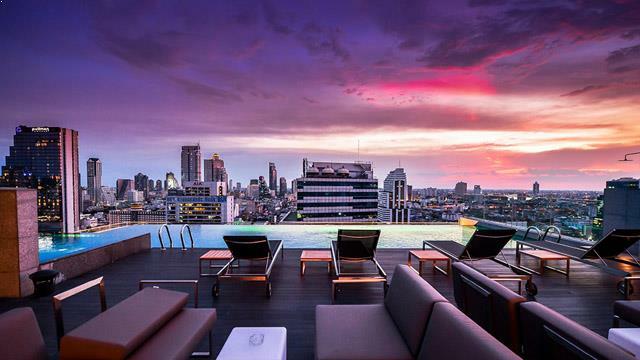 Thailand is a land of mystery and magic. 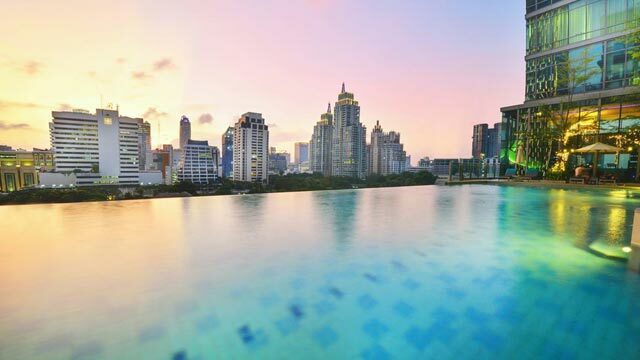 With a diverse and rich cultural heritage and endless hidden spots to explore, Bangkok is both the capital city and Thailand's largest social hub for locals and tourists. 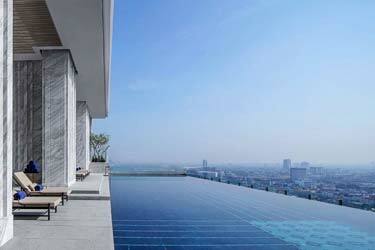 This luxurious apartment hotel has two of the coolest rooftop pools you can find, both in the world and in Bangkok. 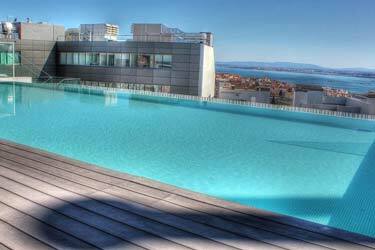 The swimming pool on the top floor is only available for the guests staying in the suites. 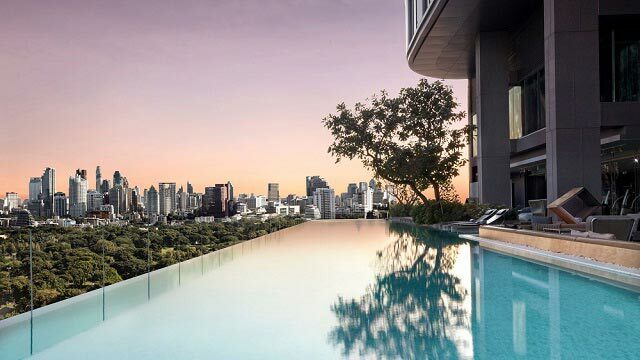 A large infinity pool with spectacular skyline views over Bangkok in all directions. 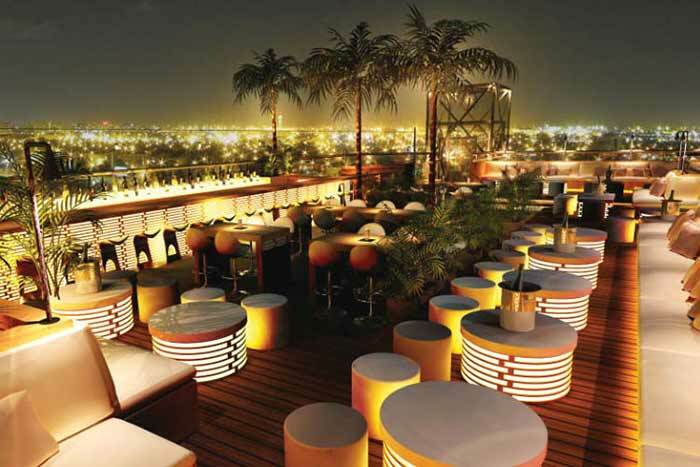 The pool area is also equipped with a rooftop bar and luxurious sun loungers and lounge furniture’s. 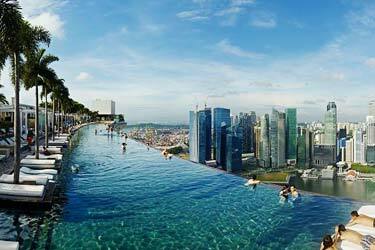 On the 27th floor you can find another amazing rooftop infinity pool with dazzling city views and a perfect place to enjoy a beautiful sunset. 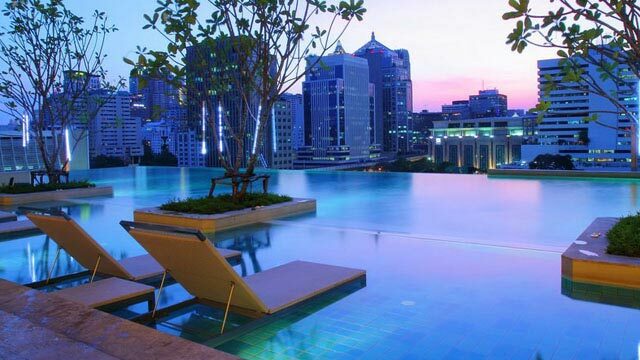 SO Sofitel has what people like to call an endless pool. 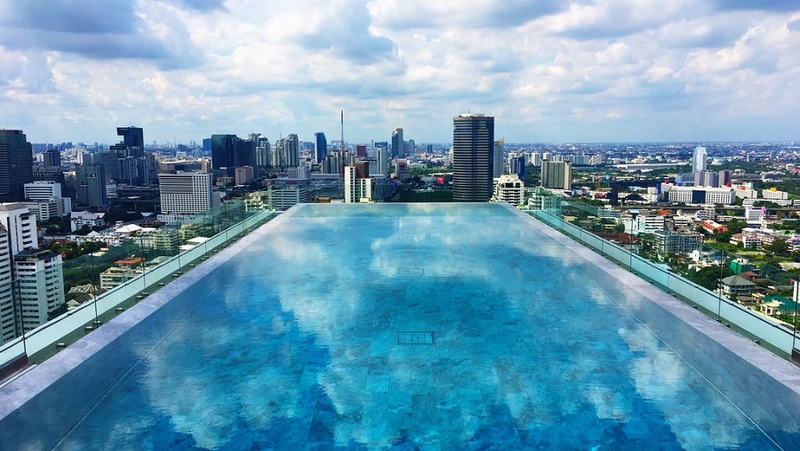 A rooftop pool in Bangkok that really lives up to the hype. 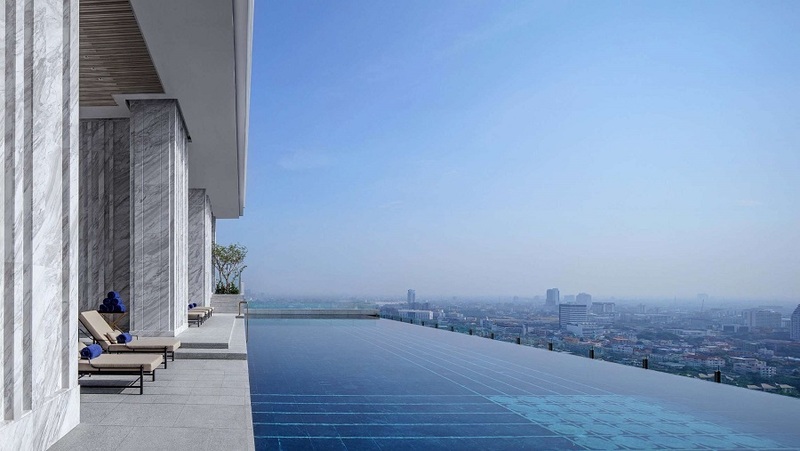 You only see an endless stretch of water, and then the magical urban Bangkok far behind. 32 meters of pure perfection. 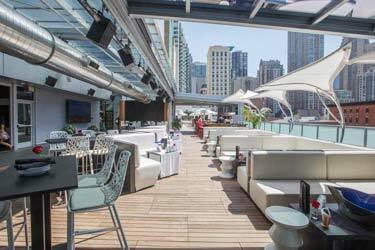 Located on the 10th floor of the hotel, the rooftop bar is a top spot for both locals and visitors to enjoy some time off. 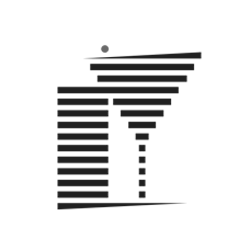 Interesting fact: the famous French designer Christian Lacroix designed parts of the hotel, as well as the staff's uniforms. 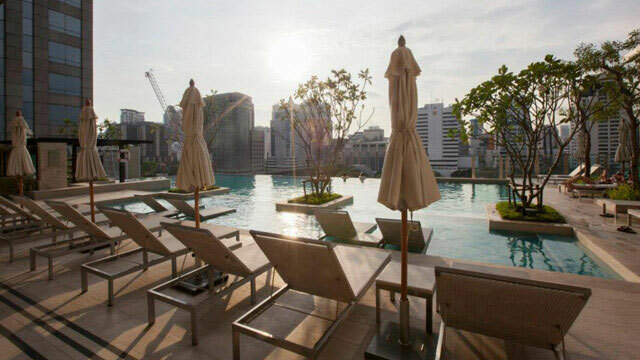 Considered by many as the best pool in Bangkok, also hosting pool parties from time to time. Availability: Only guests at the hotel. 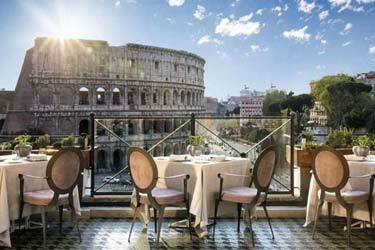 Another divine spot with an endless pool and high-end service. 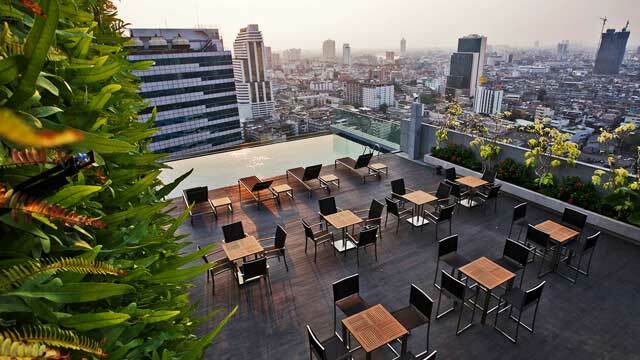 Sivatel's rooftop pool Bangkok is located on the 8th floor of the hotel. 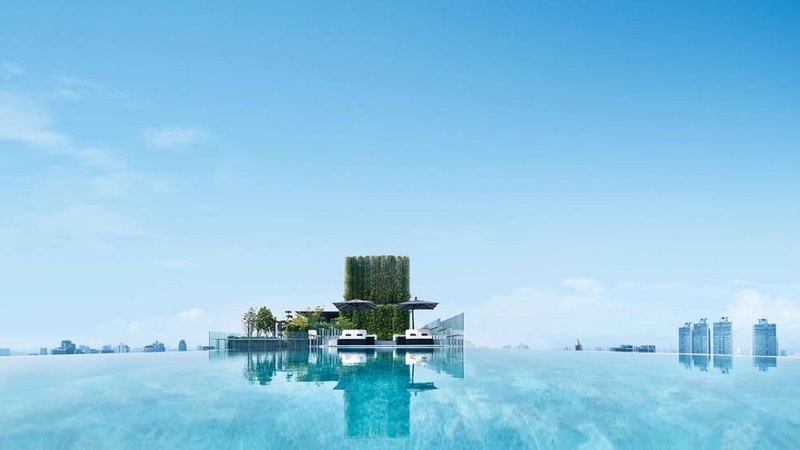 Its 22 meters are combined with a pool bar to grab a drink while indulging on some divine relaxation in the water. 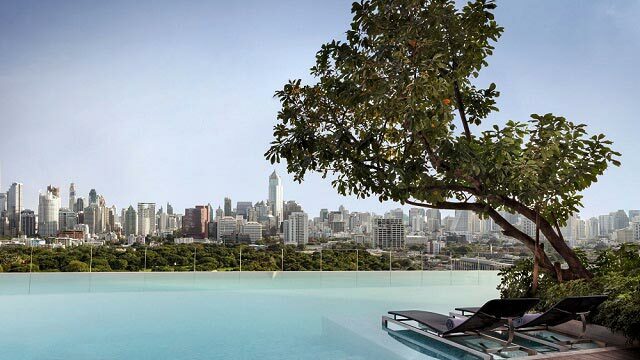 The panoramic view of Bangkok is just the added bonus to the overall luxurious rooftop pool experience. 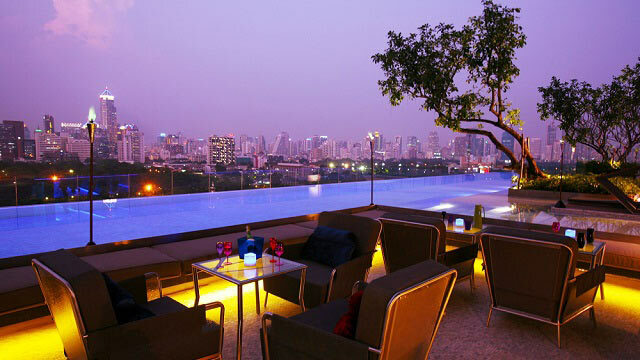 This one ranks amongst the most desirable locations in the city of Bangkok to spend some time at. 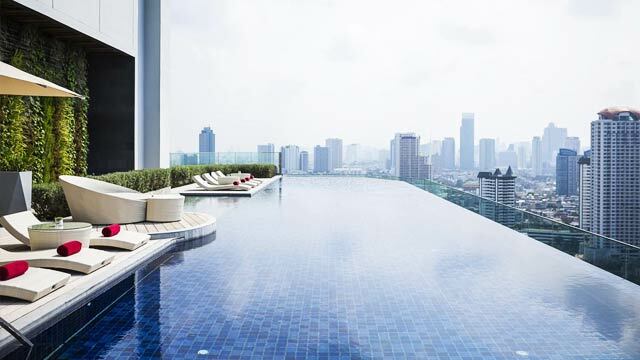 The infinit pool, surrounded by urban architecture and endless blue sky lets you do some sunbathing, while relaxing with a cocktail by the pool. The helpful staff shall ensure each one of your desires are fulfilled. 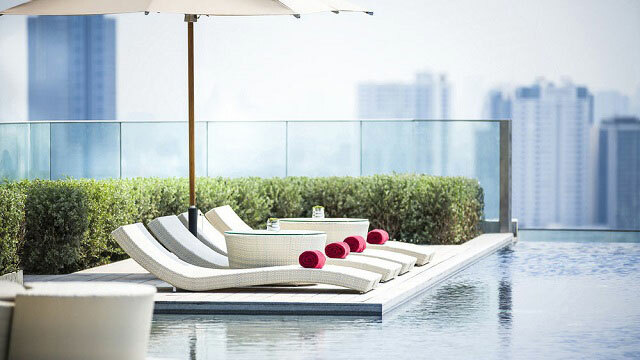 Is Amara Bangkok a favorite choice from all the rooftop pools in Bangkok? Definitely yes. 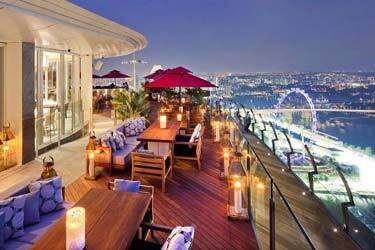 AVANI Riverside Bangkok Hotel can boost of with an amazing rooftop infinity pool. 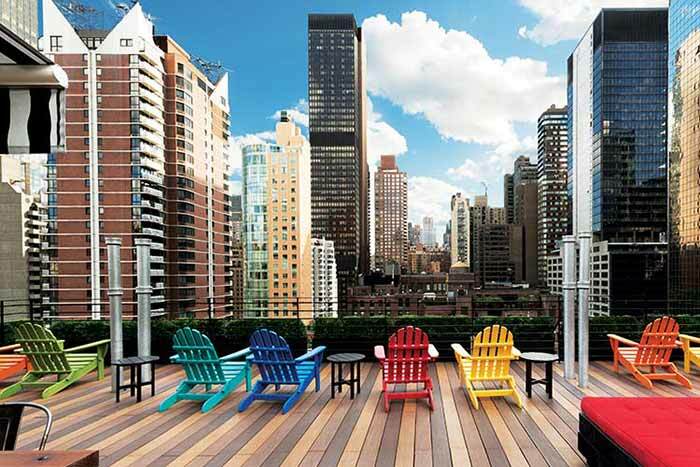 Up here you’ll get magical city views right next to the river running through the city. 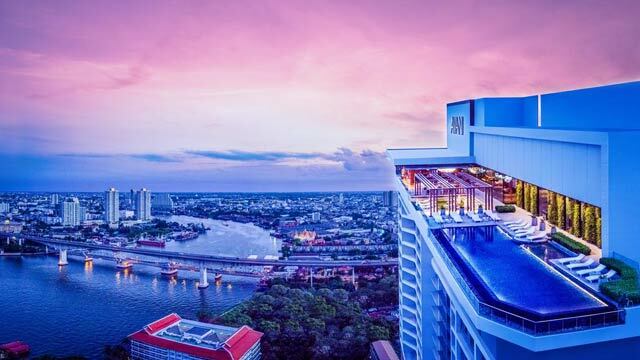 This Bangkok swimming pool is only available for the guest at the hotel – like almost all rooftop pools located at hotels. 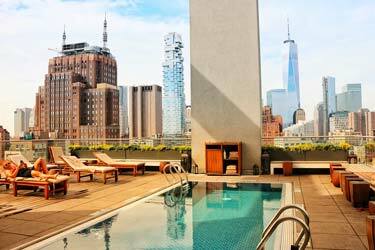 Between all the swimming and relaxing you can cool of yourself with refreshing cocktails from the rooftop bar. 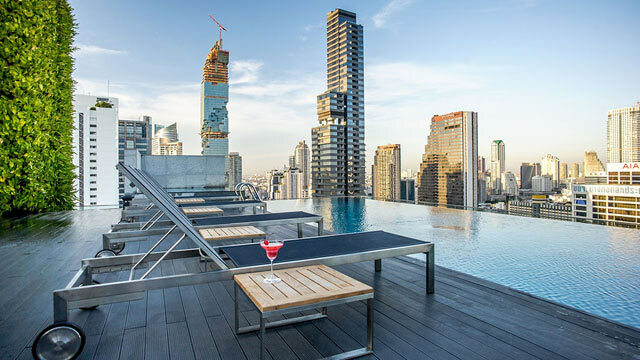 If you like infinity pools with comfy and luxurious sun loungers, this is the place to visit among the rooftop pools Bangkok has to offer.